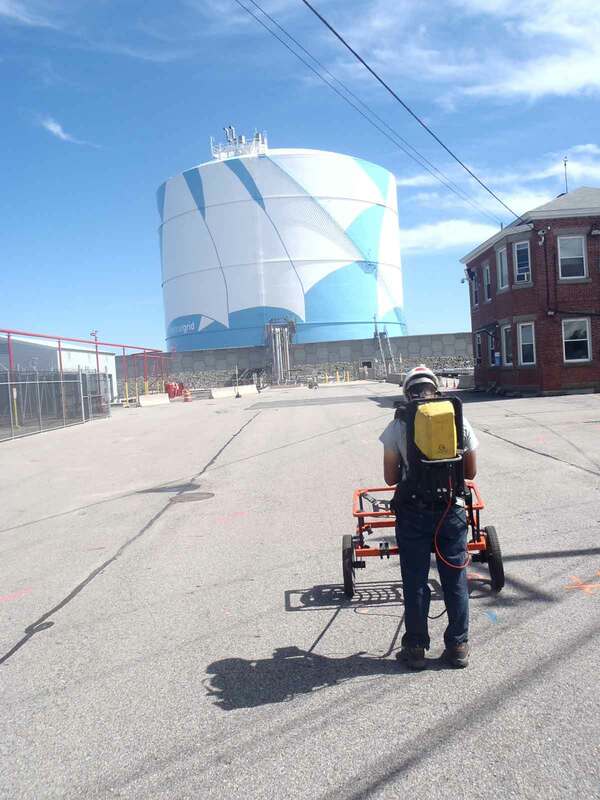 Utility Mapping at Two Liquid Natural Gas Facilities in Northeastern Massachusetts - Infrasense Inc.
Infrasense and Radar Solutions International (RSI) have recently completed utility mapping at two liquid natural gas facilities in northeastern Massachusetts. The Infrasense/ RSI team used a combination of utility detection tools including ground penetrating radar (GPR), electromagnetic (EM-61) time-domain metal detection, and electromagnetic induction (EMI) to provide maximum accuracy and depth of penetration. The resulting CADD compatible utility maps will be used to facilitate future construction planning efforts. The Infrasense/RSI team scanned the two sites, which have a combined area of approximately 250,000 square feet, in 7 days. A high spatial-resolution survey pattern was carried out with each of the three scanning technologies, with the utility location data referenced to project stationing and tied to differentially corrected GPS coordinates at well-defined site features. Following data collection, the data was analyzed and the detected utility locations, types, and depths were plotted on a plan-view site map. The maps were provided to the client in both a PDF and CADD compatible format.